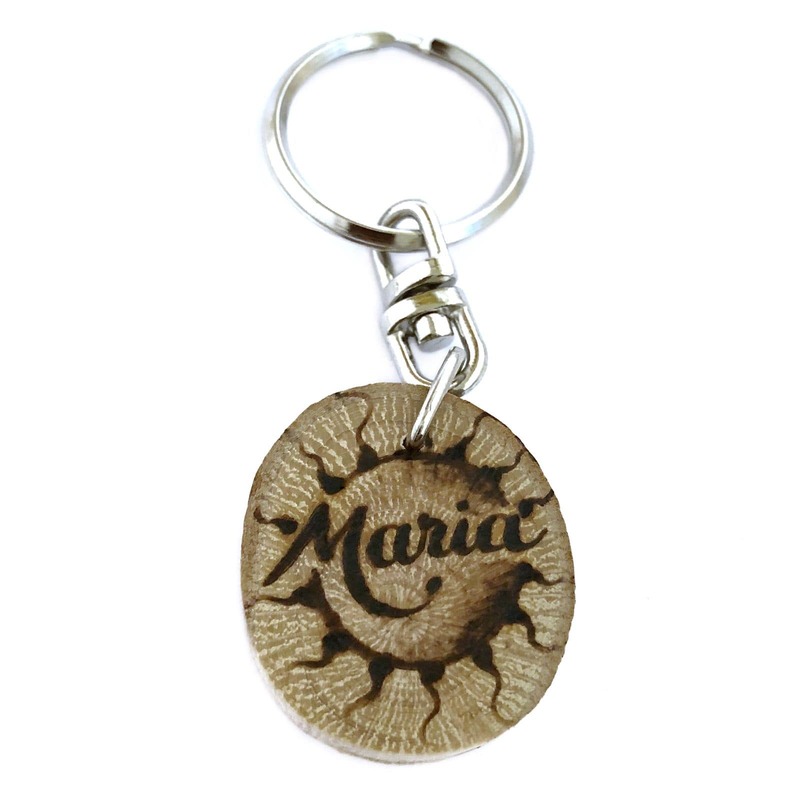 Keychain with NAME and SUN design. From the forest to your keys! 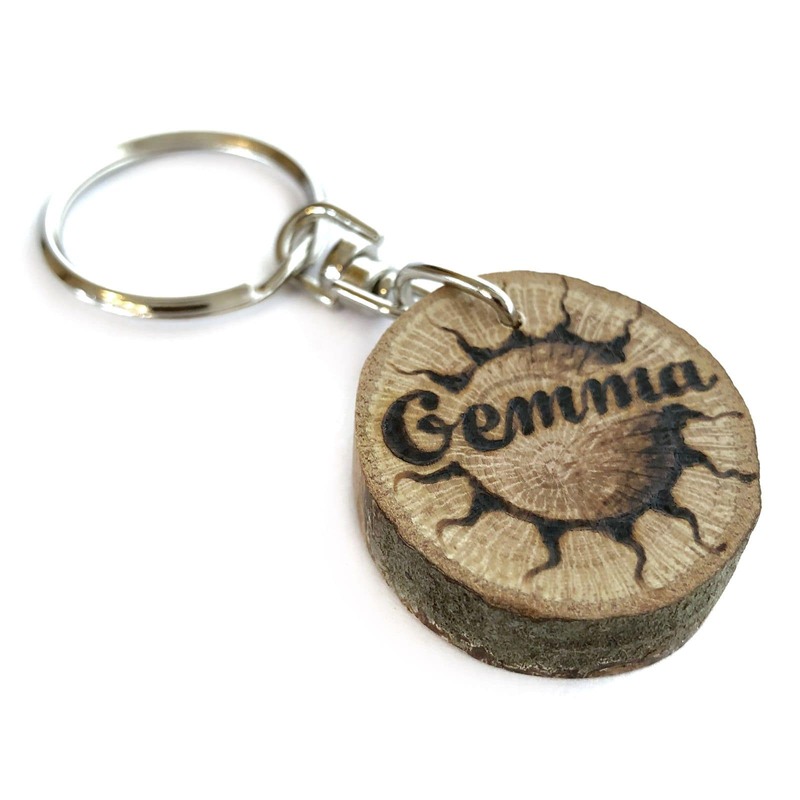 Feel nature always close to you with this wooden keychain personalized with your name. 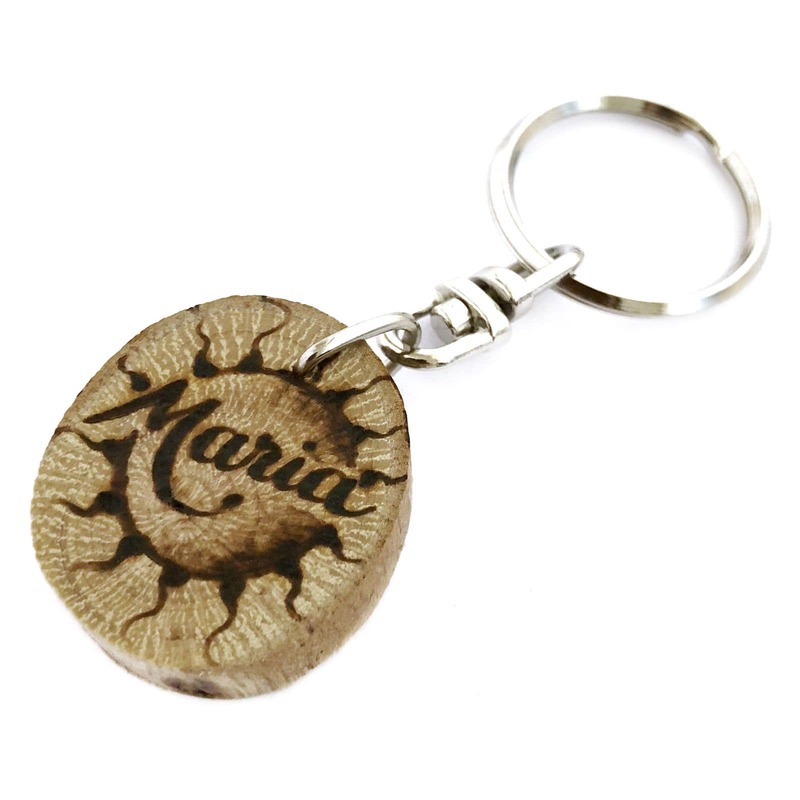 Woodburned holm-oak keychain made entirely by hand. 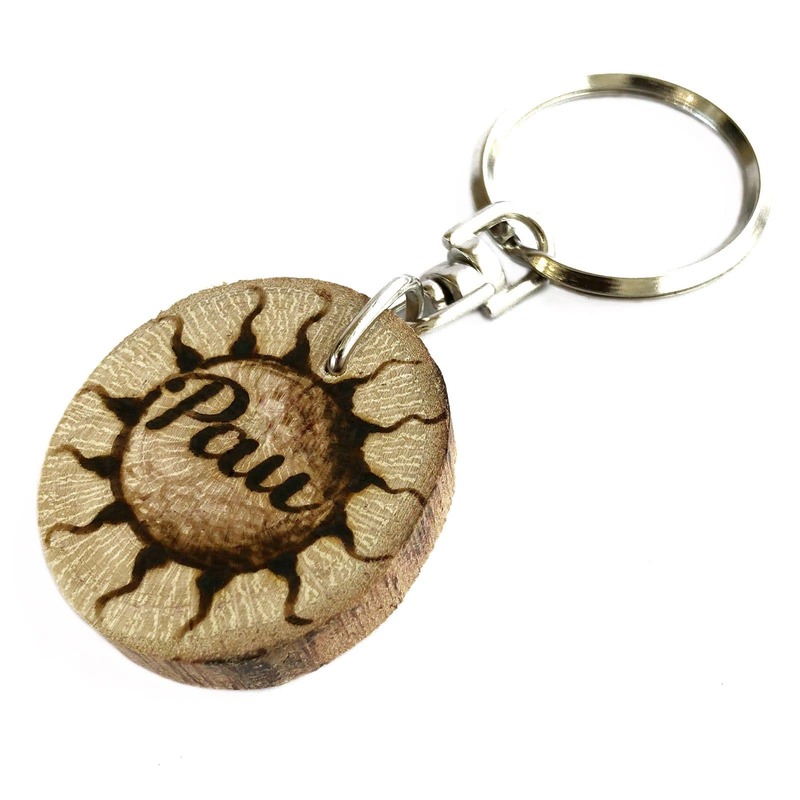 It is perfect for your home or car keys; it is very light and pleasant to the touch, since the finish is in natural wood. So you can touch wood anywhere! 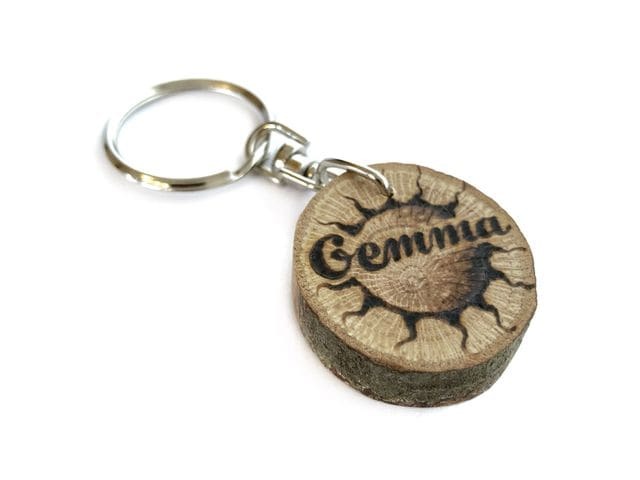 Keep in mind that the keychain that you receive at home may be slightly different from the images displayed, since both the name and the drawing are pyrographed by hand one by one, so each keychain is unique. Also the shape and size of the slice may vary, because in nature there are no 2 equal branches. Dimensions: Diameter between 28 and 35mm, width 7mm. 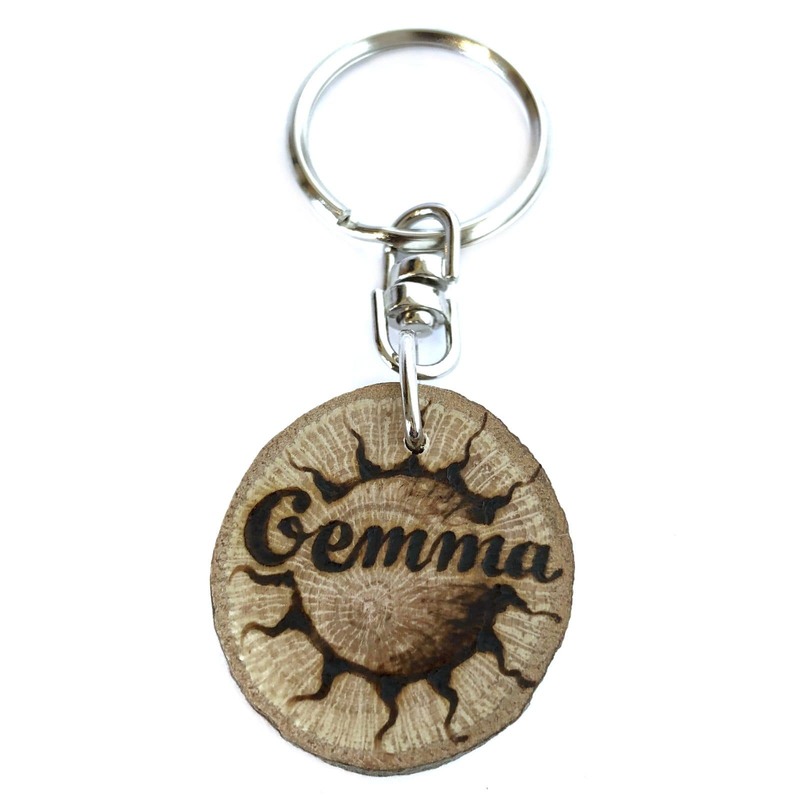 If you want to see other keychains we have done click here.